Order within the next... 5 hours, 24 minutes, 49 seconds ...for dispatch today! 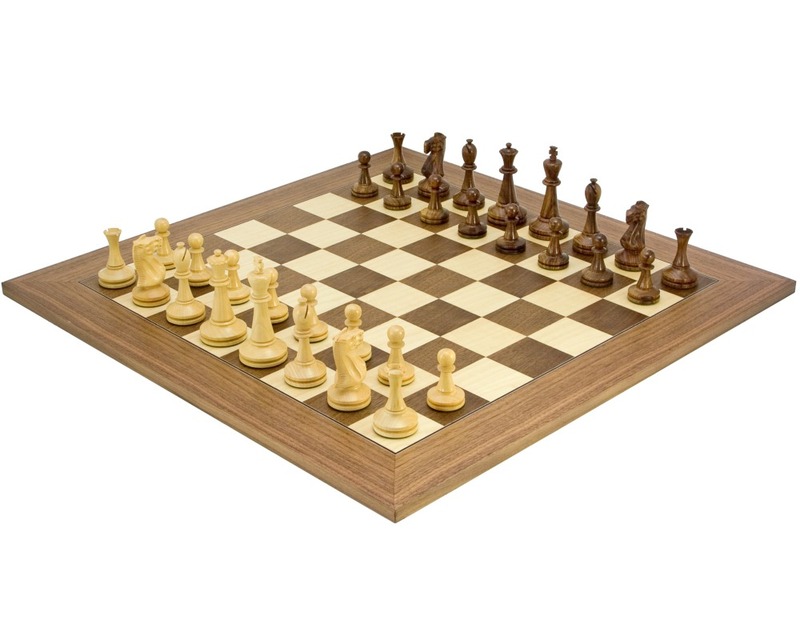 This superb quality chess set combines the unique Blackmore series sheesham chessmen with a very high quality walnut and maple board. 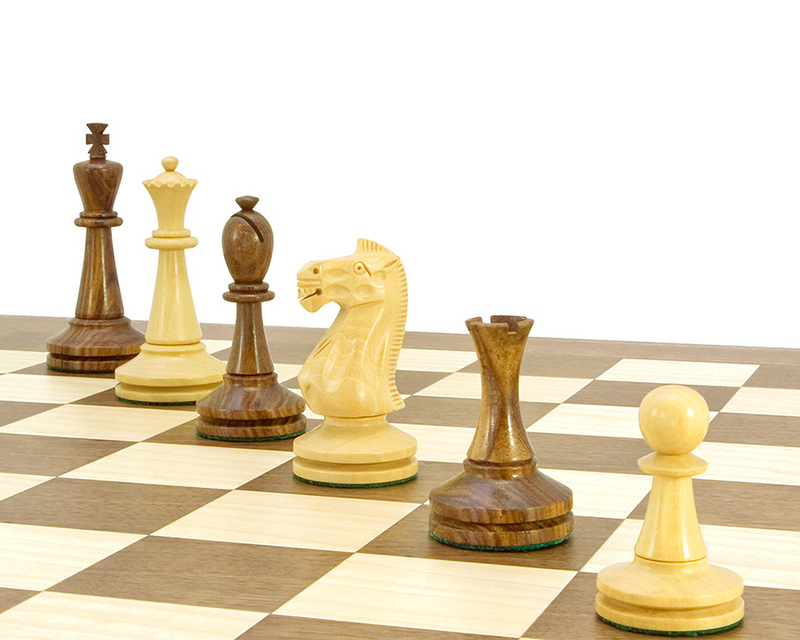 The chess pieces have been sourced from what we believe is the worlds finest producer of wooden chessmen. They have been expertly made from clean grained boxwood and sheesham, a rich golden wood that is full of stunning grains and tones. 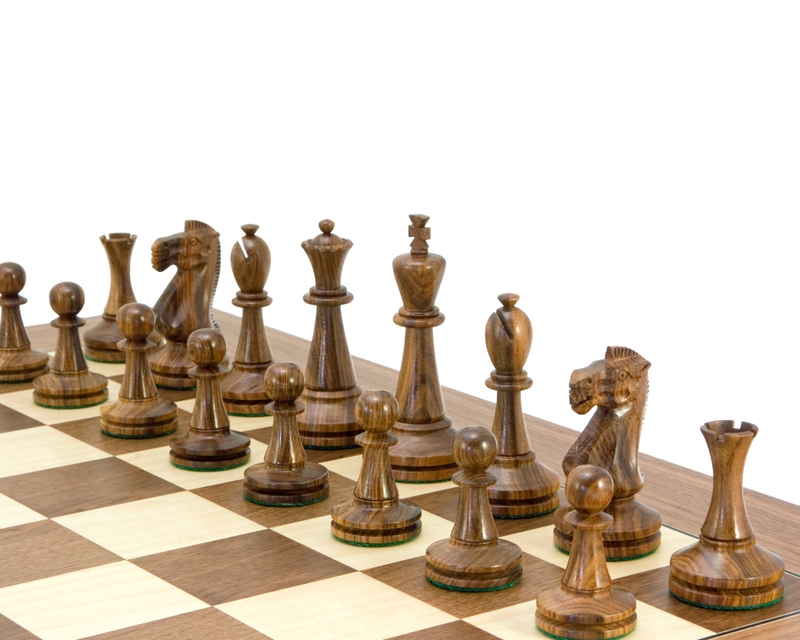 The design of the chessmen encompasses a very distinctive shank. While the design remains firmly in the Staunton camp the straight shanks have become curved, and visa versa. 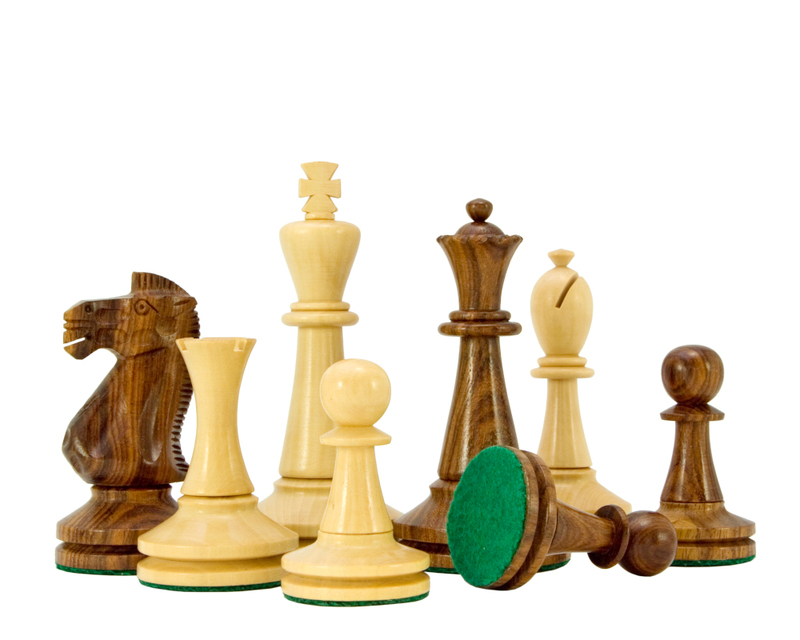 This makes the rook the most distinctive and original of the set, with a smooth curved body, as opposed to the usual tapered design. 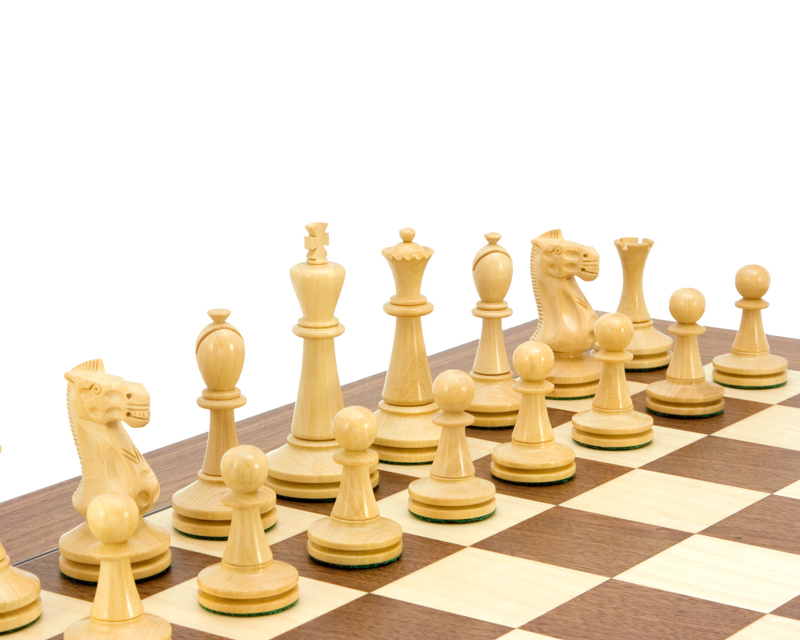 The pieces have been weighted in their bases to acquire just the right amount of balance and their proportions make them extremely satisfying to play chess with. 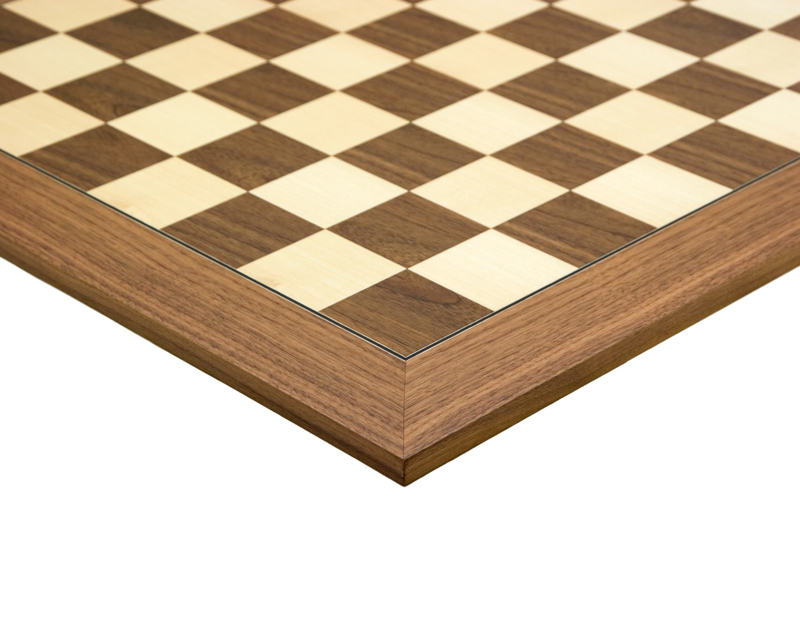 The board is one of our superb deluxe walnut and maple examples which has been sourced from Europe for it's excellent quality, perfect finish and flawless manufacturing. 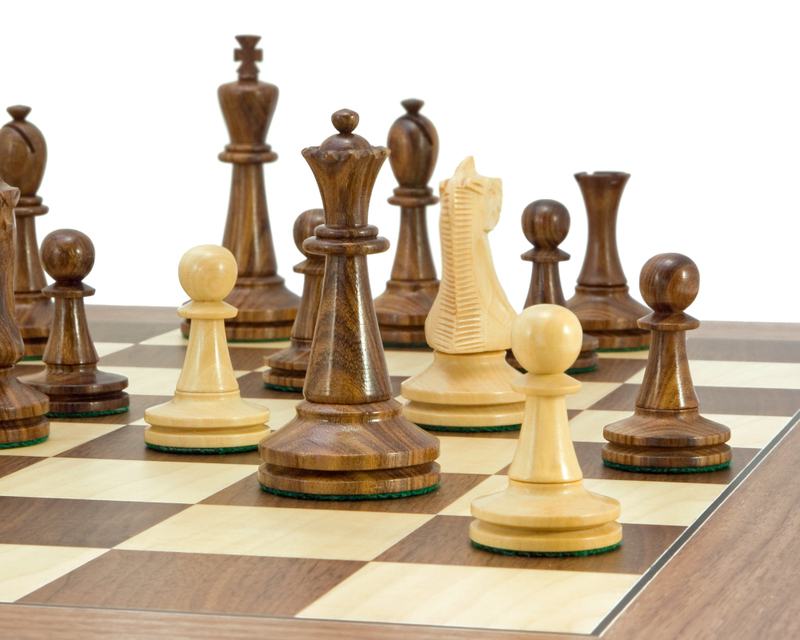 It features a lovely satin finish which provides contrast against the polished hardwood chessmen, while retaining complementary tones and grains. A large set that measures almost 22 inches across, it will certainly take pride of place in the home and forms an excellent display piece when not being used.